Our Break Press delivers a capacity of 150 Tonne to bend and form mild steel plate up to 3600mm long. Our pinch plate rollers are capable of roll forming plate 10mm x 3000mm wide. Rolling of thicker material is also available including 20mm x 1200mm wide. Bolt threading is available from 10mm up to 36mm. Pipe threading is also available. Sizes range from 15NB up to 100NB pipe. Our drills have the capacity to drill holes to a diameter of 50mm. 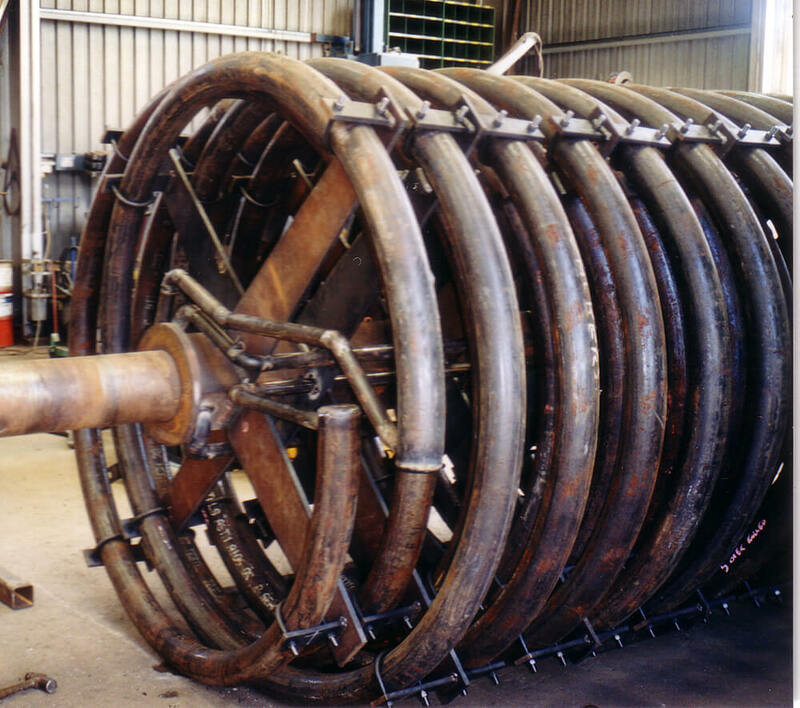 Cold forming of pipe and hollow sections is carried out with our electric over hydraulic bending machines. Skilled operators produce quality components with a high degree of accuracy and replication. Depending upon your requirements machining is undertaken both in house and externally. Please contact Dix for further information.